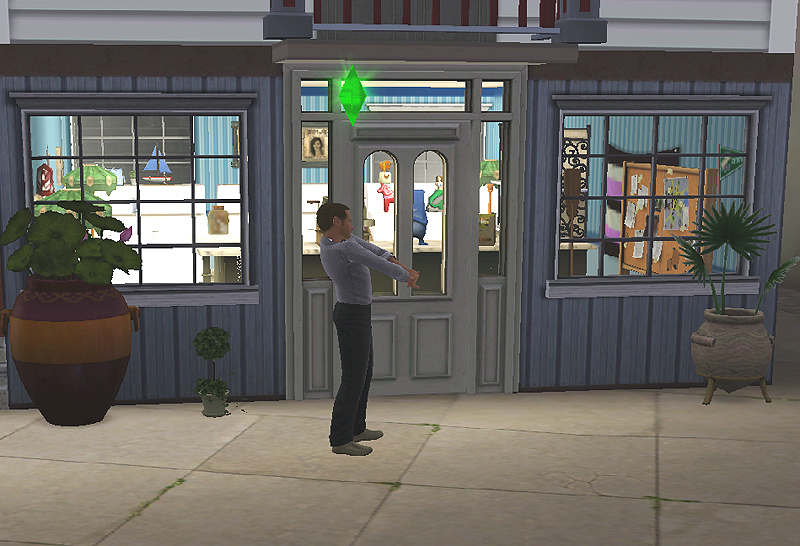 Johnny Sparrow finally got his balloons inflated, with a little help from Lance, the Ambassador. Seasise Specialities, a little shop on the seafront. 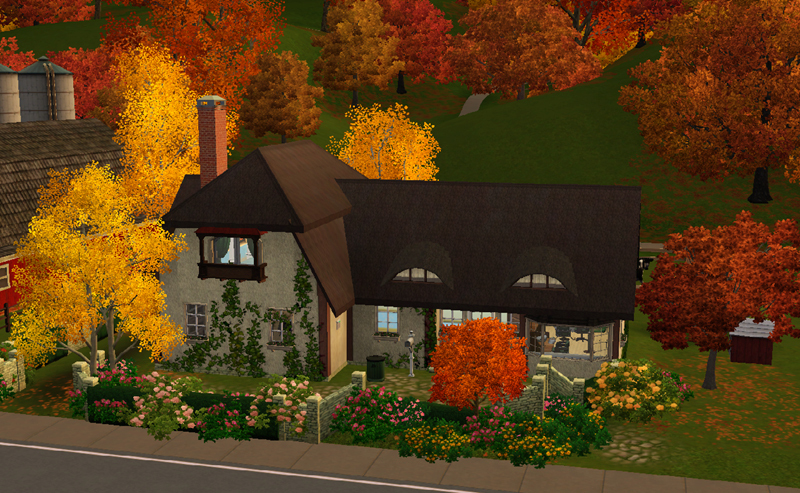 Ville Simmer's home in autumn. 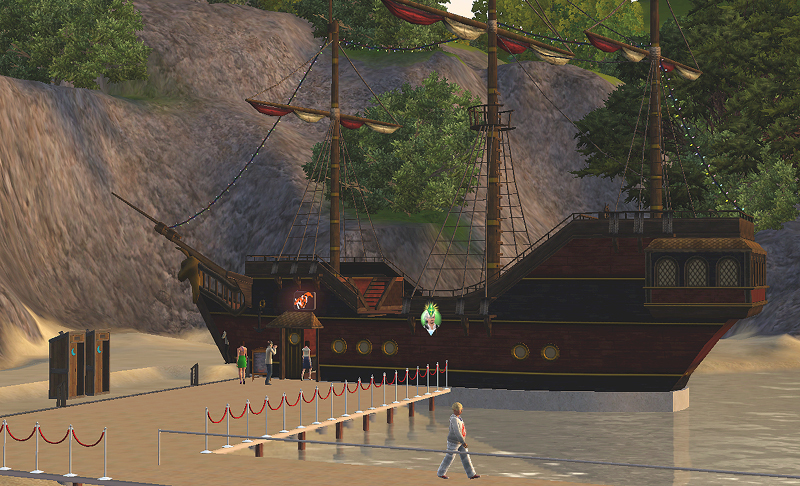 A new restaurant in an old pirate ship. 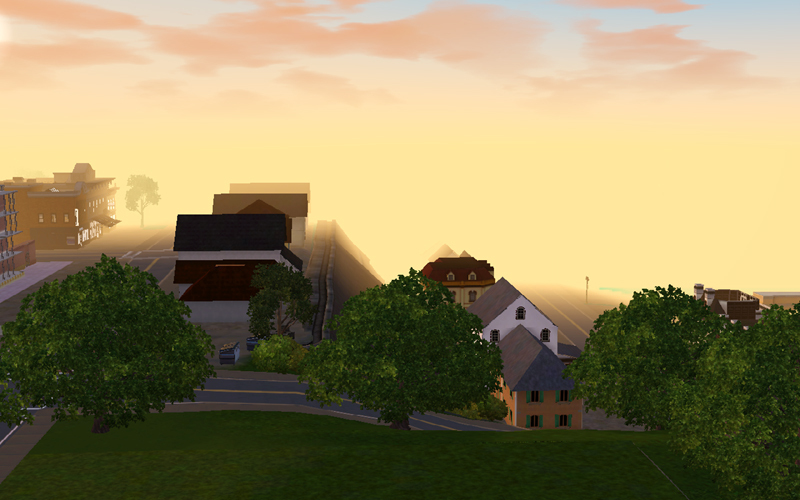 Sea mist invading the town in the early morning sunshine. The dome of the Opera House can be seen behind the seafront shops at sun. And behind that the glorious mountains to the East. A European coastal town, thriving mostly on fishing and farming. A small amount of shipping comes in and out, mostly licit. A small tour of the town so far. The mediaeval Town Hall. The Festival Lot - ruins which have built around for so many centuries that they have now become a place for celebration. There's a small gym here on the Front Row, on the seafront, called Jim's Gym. Who's Jim? Nobody ever met him. But some hate him with a vengeance. 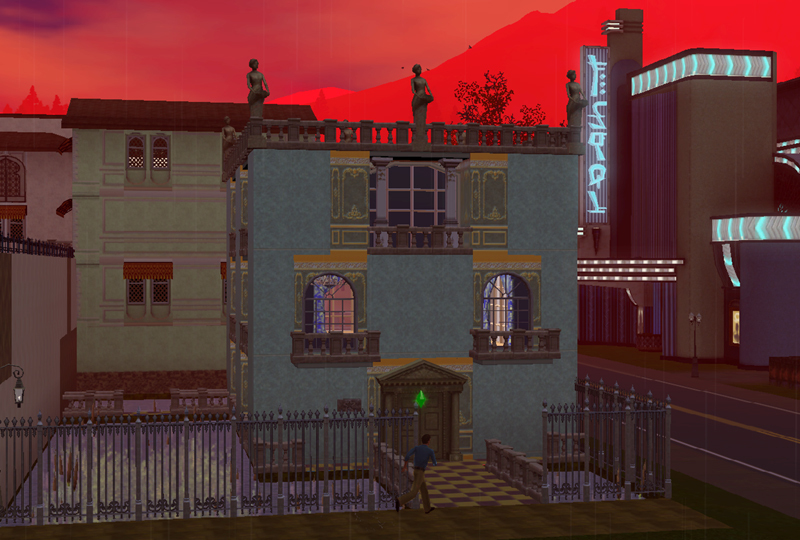 The Venice area at sunset. 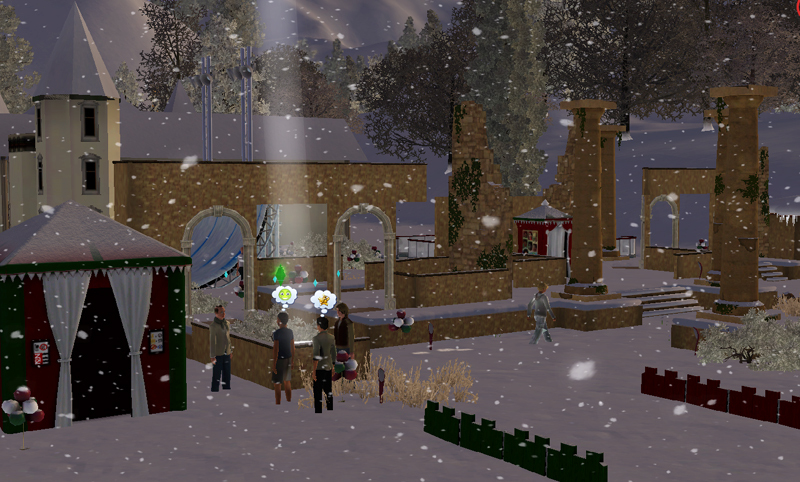 Manu Valley, the world, is by Picasso on The Sims Daily, from this thread. 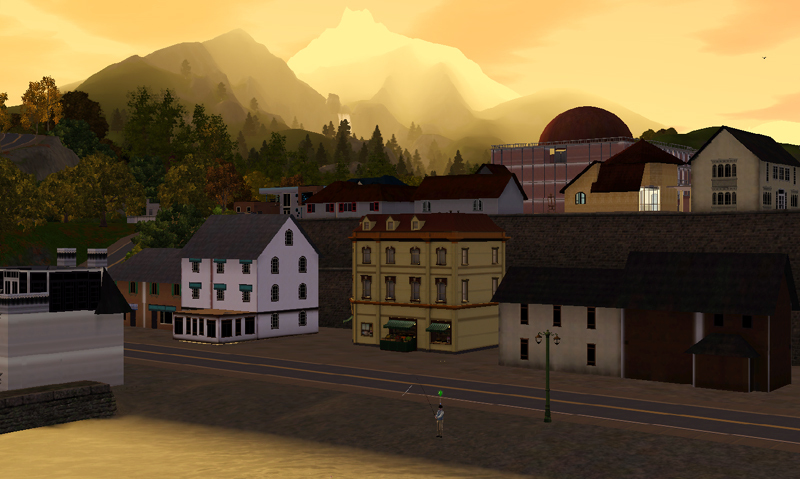 [Sims 3] Manu Valley: The Week end pressies! This version uses some of Picasso's lots, where possible, and some of my own. 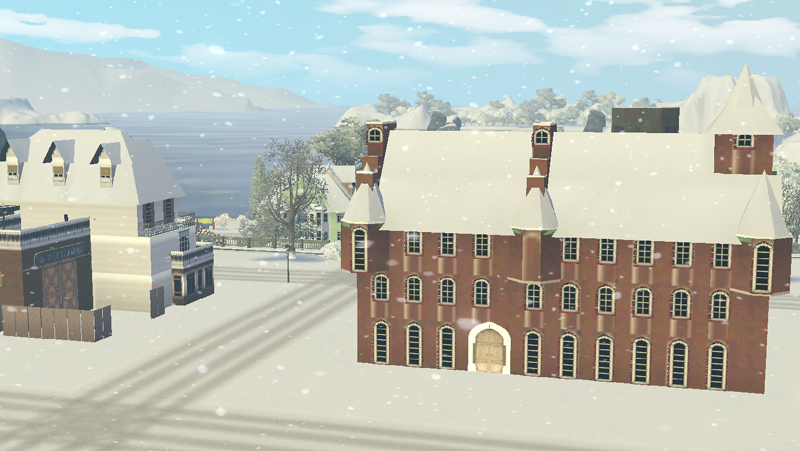 That's Monte Vista's Festival Lot and some of MV's content. 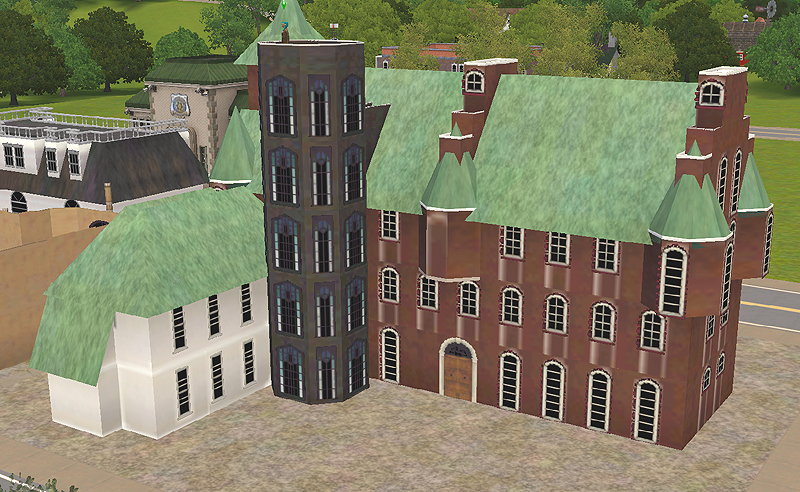 The Town Hall is a modified version of Stadhuis Heusden by Simperfect1991 on TSR. 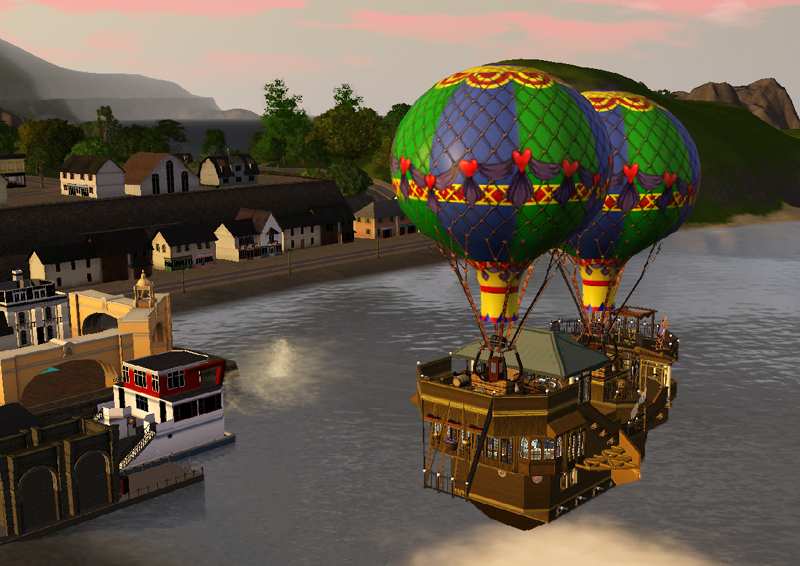 Johnny Sparrow's wonderful flying ship is from the Exchange and by exdemon1120.